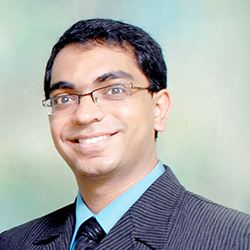 Akshay is a technology entrepreneur with more than 10 years of experience working in the technology industry. Akshay is the Owner & CEO of ETLOK Systems a technology consulting firm that provides end to end software consulting and solutions to small and medium sized businesses. Akshay brings a unique blend of technology and business expertise helping businesses achieve their operational goals through technology. Akshay has an MBA in entrepreneurship from Babson College. Akshay also has more than 5000 hours of experience teaching and guiding entrepreneurs and business school students in Economics, Finance & Accounting etc. Akshay's passion for technology and deep understanding of business concepts makes him a perfect person to take your business to the next level. Thinking Chat® is just another manifestation of Akshay's skill as a technlogy entrepreneur.